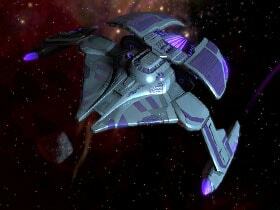 LAST CHANCE - The New Hur'q Dreadnought Leads an Infinity R&D Promo! THIS WEEK IS YOUR LAST CHANCE TO TAKE ADVANTAGE OF THIS OPPORTUNITY! DON'T MISS IT! From July 26th to August 16th, we are running a promotion that will provide an additional bonus when opening a Research and Development Pack. 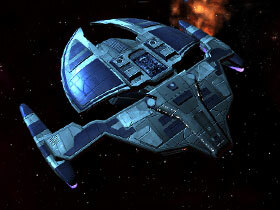 We are excited to announce a new addition to this Promotional Ship Pack: The Hur’q Vedcrid Hive Dreadnought Carrier [T6]! After the events of the recent conflicts in the Gamma Quadrant, knowledge of – and access to – Hur’q technology has grown immensely. 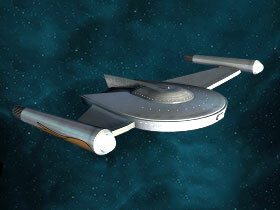 Now is your chance to experience flying a starship designed to support the swarms of the Hur’q! 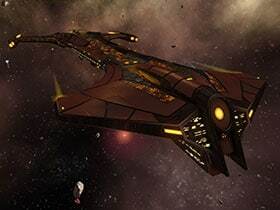 ** Complete stats/abilities of the Hur’q Vedcrid Hive Dreadnought Carrier are included at the end of this Dev Blog – keep reading for more information! In addition to access to this new starship, opening this Special Requisition Choice Pack - Tier 6 Promotional Ship Choice Pack will give the recipient a choice of any Tier 6 ship found in any previous Research & Development or Duty Officer Promotional Pack. 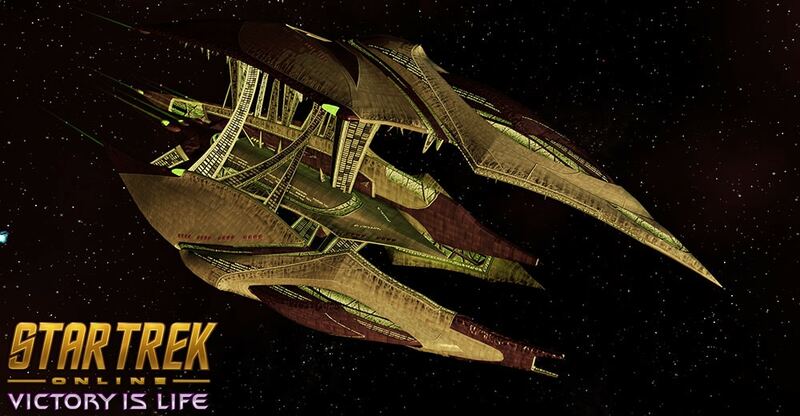 Hur'q vessels serve the primary purpose for the insectoid species as mobile hives, housing multiple generations of Hur'q progeny and their Drantzuli attendants. 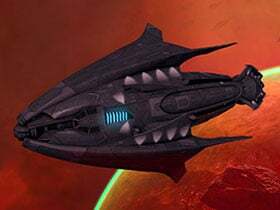 Functionally little more than mobile starbases, these vessels are specialized for the harvesting of resources that keep the two-thousand-year Hur'q cycles intact. 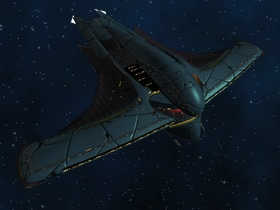 Despite a relatively civilian design (when seen through the unique lens of Hur'q society), these vessels are capable of a surprising level of self-defense, and can easily stand toe-to-toe with warships of other species. With minimal retrofitting, their harmonic interfaces can be made to interact with more conventional technology, and can thus be flown by most sentient species. 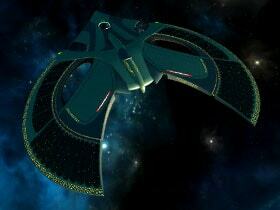 The Vedcrid Hive is outfitted with Automated Defense Screens. These specialized shield emitters will adapt to incoming fire, stacking up to the point of temporary directional immunity. 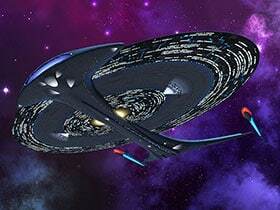 There is an internal cooldown on this system, making it somewhat unreliable as a primary form of defense, but ultimately grants this starship a large degree of additional survivability when properly used. This starship features a Commander Engineering/Command specialist seat. 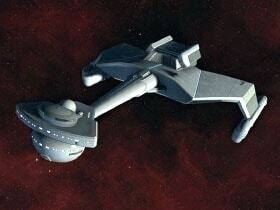 Command ships are impressive vessels designed to inspire those around them. 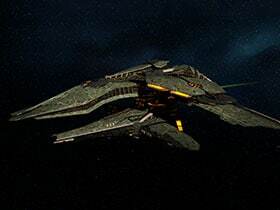 When the Command ship or its teammates activate a Bridge Officer ability, all Command Ships on the team will receive a small amount of the Inspiration resource. Command Bridge Officer abilities generate additional Inspiration. 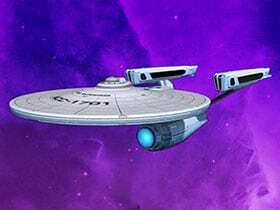 Once a Command ship's Inspiration meter is full they can use one of three powerful abilities that can turn the tide of battle. The Vedcrid Hive is outfitted with Automated Defense Screens. These are active at all times while in Combat. Each directional shield facing has a chance to add a stack of Automated Defense every few seconds when you receive damage from that direction, and each stack grants the starship increased All Damage Resistance Rating to further damage being received from that same direction. Once sufficient stacks are obtained along that quadrant, the ship becomes briefly invulnerable to damage coming from that direction. Once this immunity period expires, there is a lockout period before any additional Automated Defense stacks may be obtained for that directional shield facing. Each shield facing (front, rear, left, and right) has its own independent stacking resistances, and lockout periods. 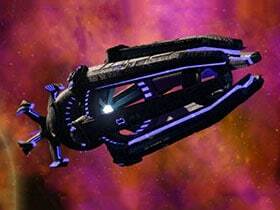 The Hur'q Vedcrid Hive Dreadnought Carrier comes equipped with the Energy Nullifier Disperser universal console. 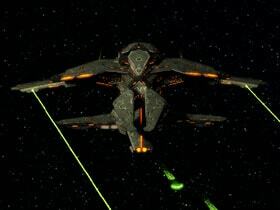 Upon activation, dozens of tiny energy signatures are ejected into space around the vessel, confusing targeting sensors into firing upon the resilient spheres of barely-contained phased-harmonic energy. These energy signatures nullify nearly all wavelengths of energy directed at them, absorbing stray shots from enemy weapons. 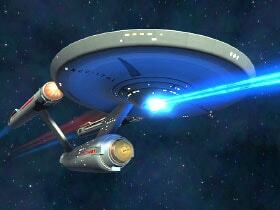 They will seek out nearby enemy ships and detonate after a few seconds, dealing Phaser damage in a small area. While each Nullifier's damage is individually small, they follow Hur'q design mentality by making up for this in sheer numbers. This console provides as passive bonus to Physical Damage Resistance Rating, Kinetic Damage Resistance Rating, Drain Expertise Skill, and Control Expertise Skill. 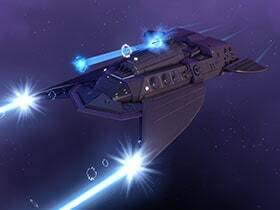 While this trait is slotted, activating any Engineering or Command Bridge Officer Ability will cause your ship to initiate a massive repel wave targeting the nearest enemy starship within 3km. This causes some Physical Damage (ignores shields) and will push that foe and up to 2 other nearby enemy ships a good distance away from your vessel. Once triggered, there is a 10 second lockout. If there are no valid foes within 3km, it will not trigger the lockout.